NOMINATIONS NOW OPEN! CLICK TO DOWNLOAD & SUBMIT! Winners of a Headliner Award will be recognized at the July Contact Breakfast as part of the awards ceremony and will receive a customized commemorative plaque. Winners will be announced to the press, via social media, and in the June edition of the Chamber's Bottom Line Newsletter, which reaches an estimated 30,000 readers. We encourage you to share your win with your networks, family and friends, and invite colleagues to the Breakfast to celebrate with you. Past winners, please help spread the word! Feel free to submit a testimonial about your experience to ayla@dcrcoc.org. The award-winning business or organization will demonstrate how they value their employees through their daily relationships and not by a statement in their employee handbook or benefits outline. This relationship is built on key criteria including: trusting the employees; treating them with respect; rewarding them with fair wages; communicating with them on a regular and consistent basis; building pride in the workplace, the employee and their job; and making the organization a credible and enjoyable place to work. All of these actions will show how the organization values its employees thus making it the Best Place to Work and a model for other organizations. NOTE: This nomination must be made by an employee of the nominee! Nominees are individuals who will be judged upon his/her leadership in the business or organization shown during the calendar year through ability to provide a strong corporate culture and management philosophy that helps attract and/or retain employees, foster employees’ individual development, and maintains positive relationships with customers/clients. In addition, the nominee’s leadership style must extend to his/her active participation, as well as that of their employees, in their community beyond their normal work-related activities. This award will salute a business or organization that was thinking smart in 2018 – “outside-the-box” – to bring an innovative perspective in management, technology, marketing, sales or product/service development, solid waste reduction, recycling, energy conservation or renewable energy usage, as well as process improvement, social consciousness, and/or utilizing resources efficiently and effectively. Nominees will be judged on the uniqueness, creativity, and achievement of their desired results from this smart and innovative thinking in their business or community service field, including innovations in social media, technology, and sustainability. This may include the implementation of technology to aid employees; projects completed by an organization or company and their contractors; the implementation of social media or customer attraction devices to enhance marketing and sales; the creative or sustainable development of new services or products; and/or an innovation that sets them apart as a vibrant, sustainable organization and produced positive results for its bottom line. Nominees will be judged upon their demonstration of exceptional customer service that resulted in an increase in customer/client satisfaction, retention, and referrals. The award will honor an organization for its existing or improved service procedures achieved through such programs as employee training, institution of a service policy that resulted in customer retention, service follow-up to gauge satisfaction, etc. Nominations are encouraged from satisfied customers who feel they have received exceptional service from a business or nonprofit. To submit a nomination, please download the form above and attach the completed nomination in an e-mail to ayla@dcrcoc.org. You can also print and fax your nomination to (845) 454-1702. After we receive your submission, you will receive a confirmation follow-up by the next business day. Winners, chosen from these nominations by a committee of Chamber members and past-winners, are saluted at the monthly Contact Breakfast. 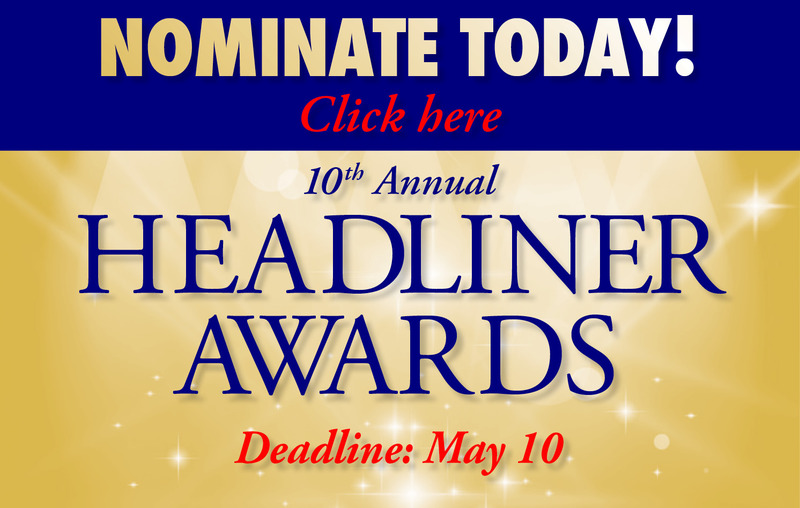 For more information about the Headliner Awards, please contact Nancy Dewit at the Chamber, (845) 454-1700, ext. 1012. Green & Lean: Gas Land Petroleum, Inc. Rob Ranieri, Rose & Kiernan, Inc.